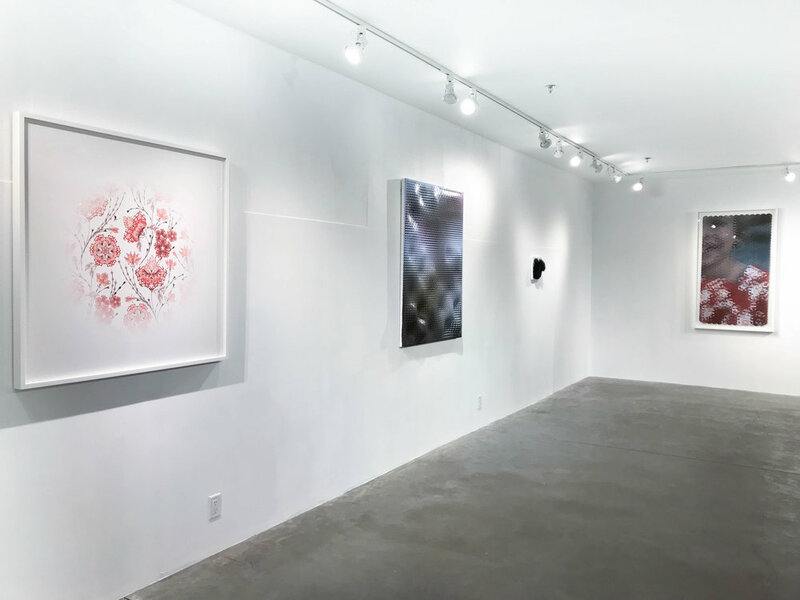 At Abigail Ogilvy gallery, owner and director Abigail Ogilvy Ryan and Assistant Director, Allyson Boli, typically take on the curatorial role, discovering new artwork that has yet to be exhibited and discussed in the Boston area. We seek out new points of view through guest curators, such as David Guerra (Dualisms), Meredyth Hyatt Moses (An Eclectic View), and Todd Pavlisko (Fuse). This coming February 2018, Abigail Ogilvy Gallery is inviting curators, artists, and collectives to offer a new vision for our gallery, a crucial part of cultivating diverse perspectives in contemporary art. Whether in a large museum or a small gallery, four things are crucial to the curatorial profession today: the preserving, selecting, connecting, and arranging of art. Every exhibition is more than just the artwork on a wall—it is a long and detailed process. Preserving: An exhibition is usually based on a theme or topic. It is imperative that a curator chooses work that follows a central theme or starts a conversation with the viewer in some capacity. It is also important that the curator preserves the tradition and concept of the art. The challenge lies in showcasing the work to its fullest potential without glossing over the artist’s inscribed value. Whether a large group show, or a specific thematic exhibition, the curator should preserve the meaning of the artwork and ensure visitors can interact within the dialogue of the show. Selecting: Once the theme or concept is established, the next step of a curator’s job is selecting the work. The curator can spends weeks, months, or even years during this phase of curation. They will contact artists and galleries, diligently visiting their studios or finding ways to view the work in person. This step includes immense research and discovery in order to learn about each artist’s background and portfolio. When the curator feels they have the right artists for their particular exhibition, they will begin discussions around getting the work to the exhibition space. Connecting: Connecting the work to the art historical canon is another crucial element of curation. As the definition of contemporary art continues to expand, we must remember that all art is in some way a response to what came before it. The context of a piece must always be considered when building an exhibition. Once that connection is established, the curator will need to find a way to express this vision to visitors in the space. Arranging: The final part of a curator’s job is to determine how the art they have selected will be arranged and displayed. Keeping the previous elements in mind, the curator must now utilize their own creativity in order to stay true to their theme and enable the art and the environment to become a cohesive experience and form a story. While many of us are used to the “white cube” model of experiencing an exhibition, there are hundreds of ways to display artwork in any given space.